I have just read your article ‘Having a good jaw: voice setting phonology’, and having noted the year in which it was published, I am interested to find out if you or anyone else, has conducted any studies on the exercises you suggested? Never mind the mouth, check out the tash! 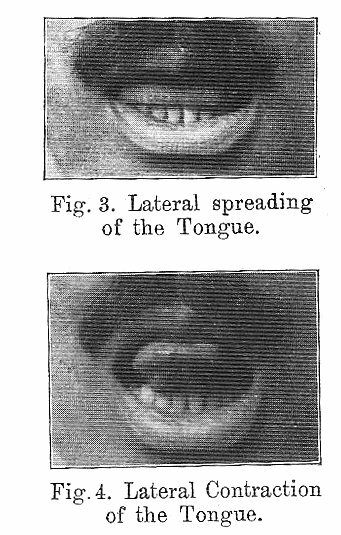 Just to remind you, voice setting – or ‘bases of articulation’ – is the general term for those “general differences in tension, in tongue shape, in pressure of the articulators, in lip and cheek and jaw posture and movement, which run through the whole articulatory process” (O’Connor 1973:289). It’s argued that voice settings vary from language to language, e.g. “His voice rang like a metal clipper hitting a bucket and he spoke English. Proper English … he sprinkled ers and even errers in his sentences as liberally as he gave out his twisted-mouth smiles. His lips pulled not down… but to the side, and his head lay on one side or the other, but never straight on the end of his neck”. (Maya Angelou I Know How the Caged Bird Sings). What I was arguing (in the aforementioned article) was that accurate pronunciation at the segmental level (i.e. of individual sounds) is at least partly contingent on adjusting to the specific vocal setting for the language you’re trying to speak. That is to say, accent is as much an effect of top-down features as it is of bottom-up ones. Hence, it might repay teachers of pronunciation to start working on these top-down features first, in advance of fine-tuning for phonemic distinctions. To that end, I suggested an activity sequence that included awareness-raising activities such as watching videos of speakers with the sound off, in order to try and guess what language they are speaking, or role play activities where learners attempt to speak their own language with a marked English (RP or GA) accent, in the way that – for example – Brits or ‘gringos’ are portrayed locally in the movies. This might lead to some discussion as to what is actually happening – physically – when you ‘speak with an English accent’. But, to answer my correspondent’s question, I don’t know of any follow-up to these suggestions, or, for that matter, of any research into the pedagogical applications of voice setting theory at all. Besides, I’m wondering if – in this era of English as a Lingua Franca – is it really all that necessary to take such drastic steps to ‘nativise’ learners’ accents? O’Connor, J.D. 1973. Phonetics. Harmondsworth: Penguin. Thornbury, S. 1993. 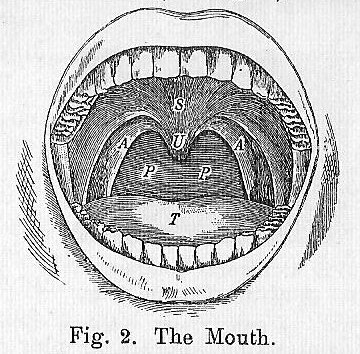 Having a good jaw: voice-setting phonology. ELT Journal, 47/2, 126-31. Illustrations from Jones, D. 1932. An Outline of English Phonetics (3rd edn.) Leipzig: Teubner. I have stumbled on some very interesting research on http://www.pronsci.com. It offers an alternative approach to teaching pronunciation. As opposed to L&R ( Listen and Repeat ) model , which is largely unsuccessful , it focuses a learner’s attention on his speech articulators. Personally, I have noticed that setting proper articulation of the sounds of English from the very beginning of study helps learners to memorise vocabulary much better. Thanks, Berenice – a really interesting link. I notice they acknowledge the influence of Caleb Gattegno, who in turn influenced Adrian Underhill and his view that pronunciation is essentially physical (“Pronunciation is a whole-body thing, not just a head thing”). See Adrian’s blog here. My cousin’s German teacher used to tell him that it was a positive sign when a German language learner could mimic a German speaking English with a strong German accent. I suppose this might have had something to do with voice settings, ie such mimicry meant that one had mastered the ‘foreign voice’ to an extent? Here’s an Italian video that attempts to demonstrate what American English sounds like to those who don’t speak it. Except for the student asking her teacher for a song, the entire video is sung in gibberish, but the voice settings seem to be in place, don’t they? And then we have the bottom-up approach, featured in this scene with Steve Martin playing Frenchman trying to learn, in segmental fashion, how to order a hamburger: http://tinyurl.com/5lul83 As an English teacher, I find it both painful and funny to watch. I know that at least some of the discovery activities you list in the article can now be done with the aid of digital technology and the Internet. My current students like to watch videos of Americans talking, especially those that show the mouth movements close up, because they can, in their words, ‘see the mouth movements’. I sometimes imitate a Spanish speaker, or a German speaker – never in a cruel or mocking way, I hope – to help students see differences in my natural voice settings and those I use for Spanish or German. They love to hear me speak my ‘other languages’, so I use their intrinsic interest to help them understand what happens to my mouth when I speak English. I encourage them to practice at home, in front of the mirror. It can be very motivating and enjoyable work for students who don’t have an ear for language if you will. I know of at least one popular teacher training program that dedicates a lot of time and energy to the IPA chart. It’s a bit unfair to pre-service teachers and their future students, I believe, because it’s not easy for some of us to connect the phoneme chart and the forty odd sounds of English. And then there’s the controversy of just how accurate the phonemes are in capturing sounds, eg Just how many schwas are there? I introduce the chart as an aid for students trying to make out the words they find in learner dictionaries; some glom on to it, most don’t. This is getting ‘twurdy’, so I’ll sign off. Thanks again for the Sunday morning jolt of professional development, Scott. As always, the comments section is sure to enhance. Hi Rob, thanks for the thoughtful comment and links. I share your belief that being able to see the physicality of speech is really useful – at least for some (more observant, less inhibited?) learners. One of the (many) negative apsects of using only audio recordings in class is that learners get ear-training but not eye-training. Good for listening to the radio but not much else. I also share your scepticism about teaching the individual phonemes (whether using the chart or not) which – to paraphrase the PronSci website (referenced by Berenice above) construes pronunciation as being an ‘ear’ thing, not a ‘mouth’ thing. That is to say, it’s not training in acoustics that is required, but in articulation. And that involves starting with (an approximation at least of) an English-speaking voice setting. When we say that someone ‘speaks well’ a foreign/second language, how much of a ‘phonological affair’ are we confessing? I recall a discussion on the TT IATEFL group some years ago on the topic of pronunciation. Somebody–I think it was you, Scott, commented that pronunciation is a “moving target”. That insight has stayed with me in my approach to teaching pron. I believe it was in a book by Steven Pinker that I read where this topic also came up. The gist was that many learners of a foreign language gib at trying to attempt a native speaker pronunciation not because they cannot achieve it, but because they consciously or sub-consciously do not want to. It’s a loss of personal identity thing. I remember when I was learning French, repeating the phrase “bon vin blanc” over and over until I had it down pretty well, stretching my lips and tongue till they ached and I really needed a glass! Still, that only gets you so far, doesn’t it?! So, in my own teaching I try to concentrate more on intonation and stress, and have leared to love accents. This not least because I am fully aware that I have one myself. It’s true that some speakers of other languages don’t want to sound ‘too foreign’, but others, who would like to come as close as possible to the ‘moving target’ language, simply struggle. Hello from the country of “the semi-gargling Netherlanders”! I loved that quote about my mother tongue. Thanks, Nienke, for that link and the abstract – which encourages me to think that voice setting phonology is still alive and well. I’m also intrigued by the reference to Dynamic Systems Theory, a field that I was unaware of when I wrote the original article (in 1992) but which, I imagine, would offer interesting insights into articulatory phonetics now. The argument that I might now make is that phonology is both a dynamic and an emergent phenomenon. The system is self-organising and exhibits ‘reciprocal causality’ in that its different levels (e.g. 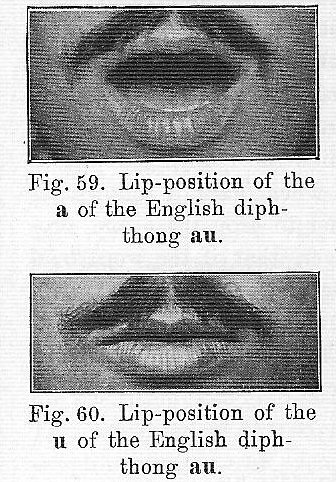 mouth shape, individual phonemes) both influence and constrain one another, and an ‘ah-ha’ moment at one level ripples through the entire system (like the much-cited butterfly effect). “It happened over months but if felt like it happened in one class. I opened my mouth and I opened up; it slid out, smooth and plush, a French ‘r’….The ‘r’ was my biggest hurdle; my system was now in place” (p. 55). She prefaces this account by noting that “I didn’t realize that my ‘r’ and my vowels were connected. It all went together’ (p. 54). As teachers, how can we convey these physical sensations to our learners, I wonder? Or is it something they have to discover for themselves? 2. How to convey physical sensations? Yes, this is the most important one, which should come before dictionaries, transcriptions, etc. Dudley Knight’s “Speaking with skill” has various exercises to develop this skill, so that both students and teachers can share and discuss same sensations, etc. Thanks, Nienke, for the PDF, from the land of the “machine-gun voices” (Ta-ta-ta-ta-ta), as an American undergraduate student once put it when trying to explain what the sound of the Spanish language felt like. Hi Scott I came across your “Having a good…” article last year while putting together a research piece last year. (Beatrice Honikman’s call was the big precedent, I think). My struggle is teaching pronunciation to mixed groups in a country which has no “model” accent. So what do we do currently? We argue. And we ignore pronunciation. A lot! But I think that is normal. Even with a model accent to model teachers can easily ignore how the mouth works. I find that the learning journey of group of mixed L1 learners must be as you say a greater knowledge of how the mouth works- articulation- or articulatory phonetics. There are many other views on phonetics but I think this is the one most universally helpful to ELT. I also add the goal of a heightened awareness of what is important to native speakers in the “music” of our speech: intonation, syllable stress, word stress, speed. These things will become more and more important to learners as they become more fluent. http://www.uiowa.edu/~acadtech/phonetics/ is a great resource for discussion on articulation. I found it a 3 years ago and it has never failed to interest teachers and learners who are curious about how we make sounds, not what sounds we make are grouped as. Thanks to John Levis and midwestern techies for that. My recommendation assumes that teachers are at an introductory level in pronunciation teaching and that they recognize that sound systems are probably different for accents. It also assumes a level of critical thinking- I find teachers are very good at that. The model here is *an* American English. Happily, I find the tools available to me when wearing my “pronunciation helper” hat have changed dramatically over the last 5 years. This is just one example. More useful to the learner and the reactive teacher are the multitudes of samples and recordings on YouTube and the easy sampling and recording capabilities with a laptop or phone. I would like to start a debate and say that studying any accent deeply, be it Hugh Grant’s or Bob Marley’s, would aid learners (and all teachers are included in this instance of the word) in realizing the potential for control and understanding we have of our voices. This is still the most underrepresented field of study in EFL. And the least understood. Only one way to change that: Keep talking! Thanks for the comment – and for reminding me of that wonderful University of Iowa link – I use it on my MA TESOL course, in fact, and it never fails to stimulate interest in the actual mechanics of pronunciation. I take your point about ‘studying accent deeply’ – especially where this includes studying the observable details of vocal setting. One approach might be to let the students themselves choose a ‘role model’ whose pronunciation they would like to emulate. It needn’t be a native-speaker either, but a speaker whose pronunciation is rated as both intelligible and ‘pleasing’ (leaving it up to the student to decide what that actually means). On the topic of pronunciation I would like to ask everyone if they have ever come across a website called ‘Englishcentral’. In a nut shell, students can listen to someone speak then record their voice. Voice recognition software then matches their pronunciation to the person they are trying to imitate. I was just wondering how everyone felt about this kind of learning tool. I am planning to do a small research into its effectiveness. If anyone has any comments I would be very interested to hear them. 1. I believe that voice setting approach captures “narrow IPA transcription of vowels and consonants”. Broad transcription just keeps the foreign accented vowels and consonants. A french /i/ is not same as American /i/ either. That’s why one should go beyond Adrian’s basic vowel chart. One should be taught cardinal vowels in three different ways: (a) with a fixed jaw setting; (b) with a fixed tongue setting; (c) with both tongue and jaw. Catford’s “A practical introduction to phonetics” talks about developing kinesthesia using these three methods. 2. Dudley Knight talks about “oral posture” in his “Speaking with skill: an introduction to Knight Thompson workout”. In that book, he talks about 9 to 10 parameters that actors should look for when they are doing research on a particular accent. In those 10 parameters, three to four capture the accent in the question. Dudley lists many exercises to develop kinesthesia for tongue, jaw, buccinator, lips. These exercises help one to produce vowels in many configurations. I think TEFL teachers should get certified in Knight Thompson workout, which is aimed for actors. 4. There is another research program called Articulatory Phonology from Haskins labs. This research program is better than traditional features based approach. This research helps voice settings approach. In fact, Doug Honoroff, a dialect coach as well as a research at Haskins labs, is part of this research program. 5. John Esling talks about pivotal vowel. And Dudley Knight talks about home base. What they are saying is a default configuration of tongue, lips and jaw. That configuration functions as a pivot. All other articulatory gestures are relative to that pivot. Here, one can look at the whole vowel space (not the compressed IPA vowel trapezium). Then locate the home base in that vowel space–and this home base is just a subset of the vowel space. Here, one can look at various features of an accent: GOOSE-fronting; mergers; tensing/raising of vowels; etc. 6. That’s why mastering cardinal vowels in three ways is to necessary to get to the home base. Mimicry does not help one to produce cardinal vowels in three ways. Adrian is selling half-baked mimicry, half-baked since he uses descriptions using lips, jaw and tongue without showing how to develop proprioception and/or kinesthesia of these articulators. Here, Dudley Knight is the master; he does not get into vowels and consonants, but starts with various intrinsic and extrinsic muscles of tongue, muscles of lips, jaw, buccinator, etc. Then give exercises to isolate these muscles. The end result: kinesthesia/proprioception. Once one has developed these skills, producing sounds is darn easy. 7. Since all vowels are dorsal articulations, frequency of diphthongs and vowel sounds (not graphemes, nor phonemes, just phones) also tell about the optimal configuration of various articulators.